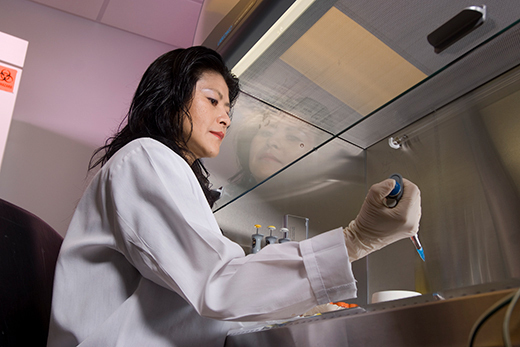 Lily Yang focuses her research on developing tumor-targeting nanoparticles for cancer therapy. Emory University is home to many brilliant female inventors who have contributed groundbreaking research and innovation to the society at large. From new treatment methods for life-threatening diseases to new accessible techniques for health education, Emory women are helping shape the world in which we live. March is Women’s History Month, and Emory’s Office of Technology Transfer is highlighting Emory female inventors. For more information, and interviews with inventors Barbara Rothbaum and Harriet Robinson, visit the Office of Technology Transfer website.